Blogging has become one of the essential content strategies to implement when marketing your business to the digital world. Blogging creates the opportunity to build a presence in your industry space while establishing yourself as a wellspring of quality information for your users. Well-crafted blogs drive traffic to your site and encourage your users to engage with your business, accomplishing your ultimate business goal to generate revenue. If you are not tracking the success of your blog, however, you are not utilizing this content marketing strategy to its full potential. After you create quality content, post your blog to your website, promote your blog through social media and other content marketing tools, the final step in managing your blog is to measure the success. So, how do you do this? Hopefully, you have established your content marketing goals long before launching your blog, but if not, now is the time to do so! What do you hope to gain from posting? Are you trying to gain traction in your industry? Do you want to increase your social media influence? Maybe you want to improve your SEO or inbound traffic. Is your ultimate goal lead generation? After you have narrowed down your goals (and write these down as part of your content marketing strategy), there are some tools to help you measure the success of your blog. The tool we are going to talk about here, though, is Google Analytics. Google Analytics is a free tool that allows you to track the successes of your digital content strategy by monitoring all activity associated with your website. Note: you have to enable Google Analytics access to your website by installing a tracking code. To do that, please watch this video below. There are a few different reports you will want to check in Google Analytics to track the performance of your blog. 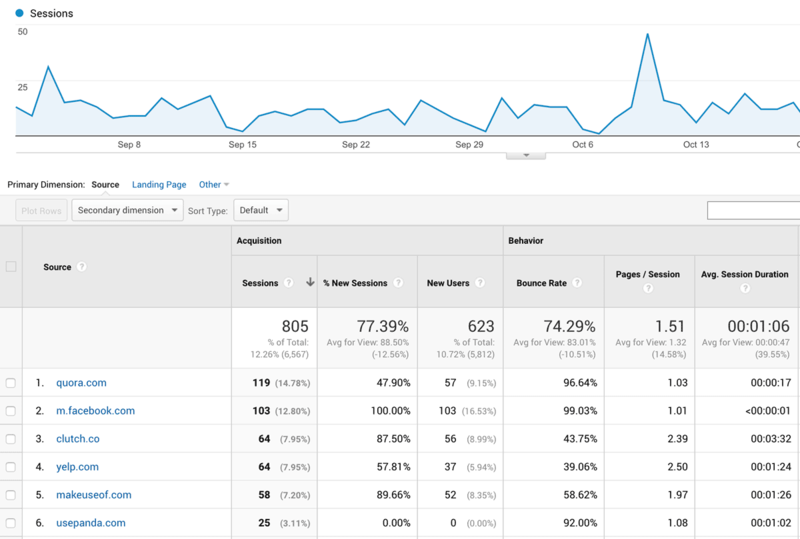 You have a lot of flexibility using Google Analytics to track your content marketing performances. When looking at Audience Overview, you can set it to report on any time frame you desire. You can look at reporting for a day, a week, months, years, or even mere hours. The overview report lets you see sessions, which are a group of interactions on your website, within the desired time frame. The report gets even more granular by allowing you to track the happenings within the sessions. These can be anything from single or multiple page views, to events, to interactions and transactions. You can also see information about your users. How many visitors did you have? How many users are new to your site, and how many have been there before? As the name suggests, this tab allows you to see the overall traffic patterns of your website and blog and is the best feature to use to track growth patterns. The Site Content tab reports on your highest performing pages. This tab is a great feature to use in shaping your content strategy. This report allows you to see which blogs have longevity and use these as reference points when curating marketing content moving forward. This tab looks explicitly at page views, which means you can track unique page views, linger times, and how many users stayed on your site versus bounced immediately. Take note of the average linger time for your blog pages. This number can give you a great idea of how long people are taking to read through your content. Are they speed reading through substantial posts? Or, are they taking the time to absorb and learn with intention? Some useful parameters to consider: if it’s over two minutes, your visitors are at least perusing through your content; less than 30 seconds and changes are your blog is too dull for the average reader. If this is the case, it’s time to rework your content strategy. A referring source is a source that directs traffic to your blog. This metric allows you to see exactly where your referrals are originating. Tried and true referring sources are social media platforms, specifically Twitter and Facebook in most cases. This tab is one of your best tools to strategize how you promote your blog and business in general, as it allows you to see which outside sources drive traffic the most. Select the best performing sources and take advantage of running paid promotions on these platforms to correctly market your blog. Social signals are another important part of content marketing strategy. Therefore it is an important metric to follow as well. You can get these statistics by navigating to Acquisition > Social in your Analytics dashboard. If lead generation is your primary goal, and for most businesses it probably is, so you’ll want to become very familiar with the functionality of your preferred marketing automation tool. There is a slew of different options out there, but one of the primary purposes of these tools is to track the number of leads your blog and website created. Examples of a lead are someone signing up for a subscription to your blog or filling out a form to get more information about your services. How people are engaging with your posts in the comments sections is another critical thing to consider. Engagement isn’t limited to social media. If people are making comments directly to your blog that is a great sign your readers are genuinely engaging in what you are saying. Take advantage of these interactions and offer feedback to their commentary. It’s crucial to be aware; not all comments will be positive. Make sure you cover how to handle negative feedback in your content marketing strategy. Finally, inbound links are similar to referrals in the sense an outside source is directly linking back to your website or blog. These links are a significant boost for your SEO and overall reach. For example, if there is an article about your business on Business Insider that links directly back to your blog, this counts as an inbound link. It’s crucial to continually measure the success of your blog to ensure you are generating quality content and optimizing your strategy to deliver the best results for your business. Remember, the point of tracking measurements is to determine if you are meeting the goals you have for your blog. 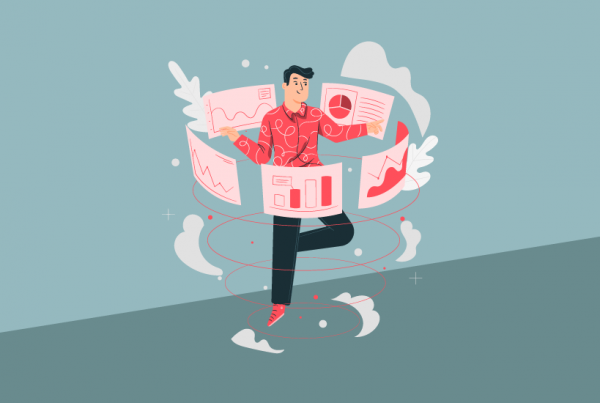 These metrics will help you analyze the methods you are taking to reach those goals and allow you to better plan your content.